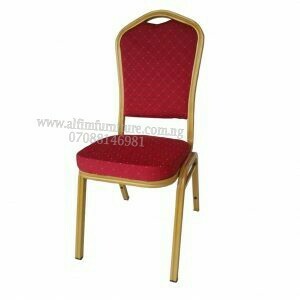 • 3ft (90cm) square folding leg table. 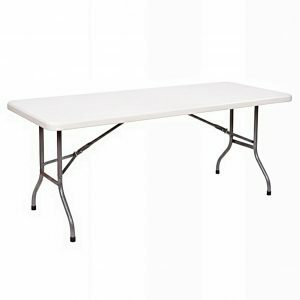 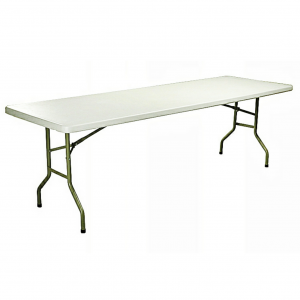 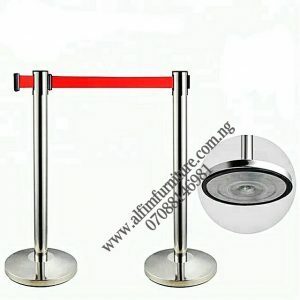 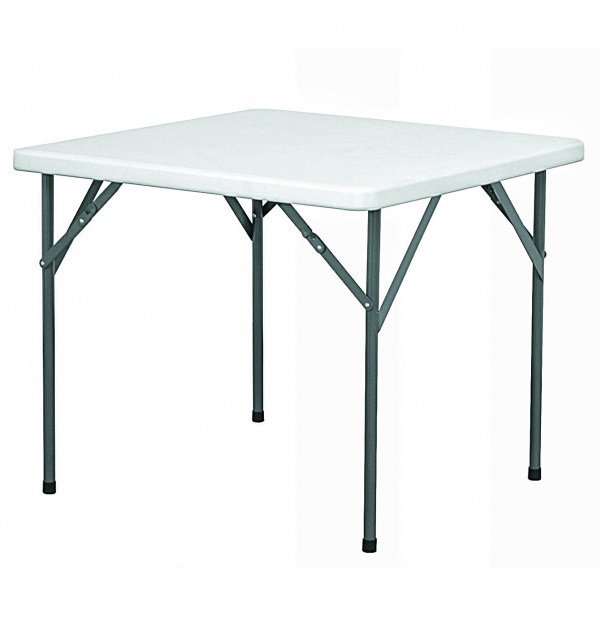 Our heavy duty, superior quality foldable plastic table is suitable for both indoor and outdoor use. 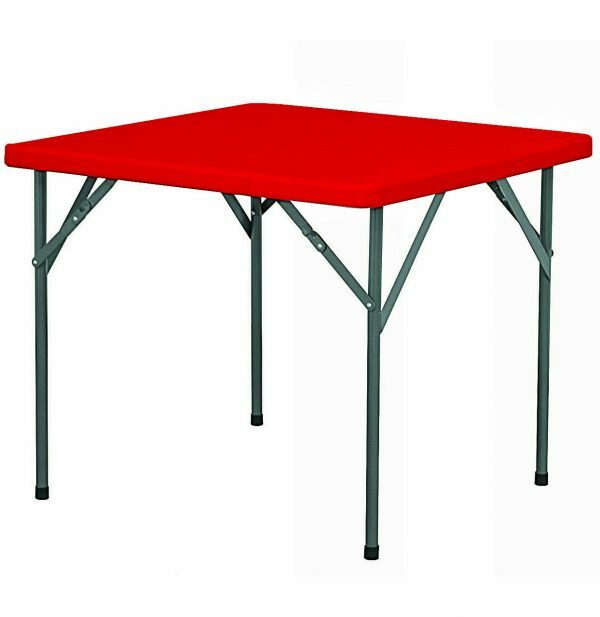 Made from high-density blow moulded plastic with powder coated steel framework, our plastic folding banquet tables combine high strength resin and steel to provide a very strong table top that resists bending.